We started the Salmo Ski Hill Trail system in the summer of 2014. Since then, we have completed a green trail to the top of the hill, as well as a lower loop trail. We have also completed an intermediate hand-built trail “Inducer” which now goes top to bottom. 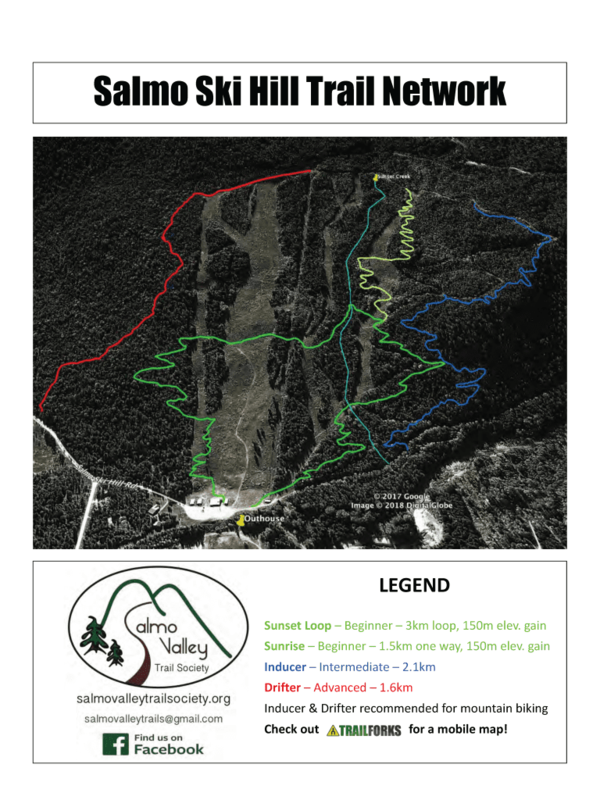 This summer we will be fixing sections of the Salmo Ski Hill Trails and doing layout for more future trails.